Long-time Hong Kong producer/director Johnny To is known for violent films that depict the brutal Chinese underworld, and Vengeance, a 2009 action programmer, fits the stereotype perfectly except for one thing: it doesn’t feature one of To’s regular company of Chinese action stars as its hero; in fact, the protagonist isn’t even Chinese: he is French rock and roller Johnny Hallyday, who has appeared in crime movies before (Jean-Luc Godard’s Detective may be the best known), but never in a Triad shoot-‘em-up like this one. The set-up is simple: Francis Costello (Hallyday) is a chef and restaurateur from Paris whose French daughter (Sylvie Testud) lives with her Chinese husband in Macao. At the beginning of the film, a trio of hitmen invade the daughter’s apartment to kill her husband. In the process, they critically wound the daughter and kill both her children to keep them from identifying the assassins to the police. 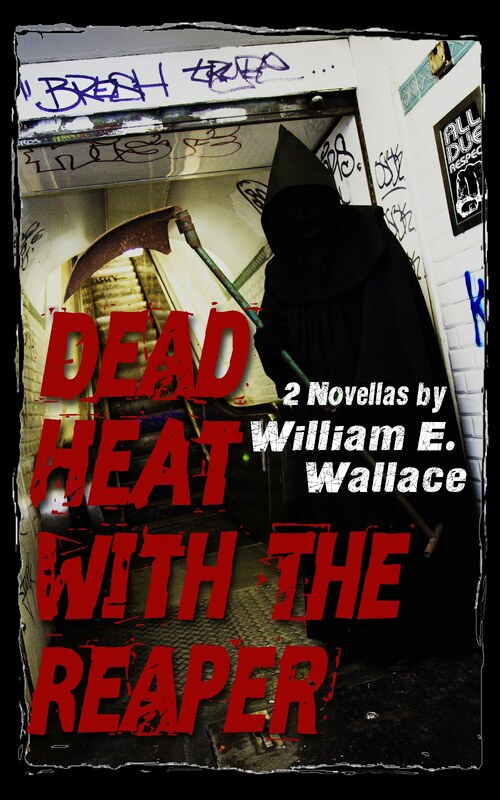 Costello travels to Macao to take charge and promises his daughter he will find the killers and make them pay. It is a promise more easily made than kept: Costello is past his prime, old enough to qualify for the easy seats on the bus and a two dollar break on movie tickets. It is easier to imagine him sitting in the park feeding pigeons day-old bread than to visualize him shooting somebody in cold blood. 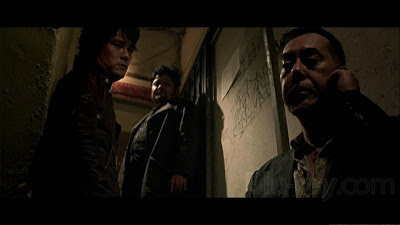 But fate hands Costello a break: as he is checking into his room, he happens upon three gangsters, Kwai, Chu and Fat Lok (To favorite Anthony Wong Chau-Sang, Ka Tung Lam and Suet Lam) who have just killed their boss’s unfaithful wife and lover. Instead of identifying the gunmen to police, he tracks them down and offers them all his money and the ownership of his restaurant in return for their help in finding the men who have devastated his family. Costello accidentally runs into three hit-men and persuades them to help him obtain revenge. That concludes the simple part of the story. The complication is that Costello has a violent past himself, though it has been 20 years since he killed a man. During a prior killing, he took a bullet in his head. The slug is still in there, and the injury sometimes robs him of his memory. To insure he will be able to remember the men he has hired, he takes Polaroid photos of them and writes their names on their backs. Thus equipped, the four head out to track down the men who attacked Costello’s family, engaging in a number of bloody gunfights in the process. That this is a violent film should surprise no one. But it is no John Woo special with highly choreographed gunplay and lingering slow-motion depictions of men dying: The shootings are grisly, fast and chaotic, with victims going down in sprays of blood. Of course, at a key moment, Costello loses his memory. 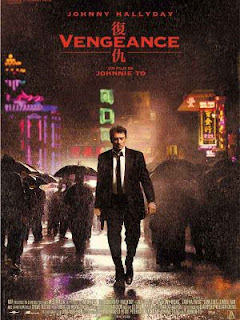 He can’t remember why he is in Macao or why he has hired the three gunmen he is traveling with. 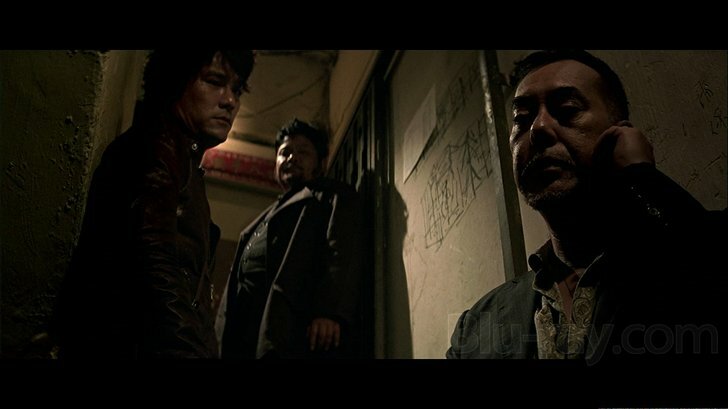 The Triad killers are faced with a difficult decision: continue to try to help Costello achieve his vengeance or abandon him to an almost certain death at the hands of the gang members he has sworn to kill. His memory gone, Costello is forced to rely on his Polaroids to identify his allies -- and enemies. This is where the second complication arises: it turns out that Costello’s son-in-law and grandchildren were killed by three assassins for crime boss George Fung (Simon Yam), and that the three gunmen Costello has hired to help him get revenge are Fung’s employee’s as well. So what could have been a simple revenger turns out to be partly a story about how the trio of shooters react to this discovery and who they end up siding with in the clash between Fung and Costello. To a great extent, Vengeance is about loyalty – how it is earned and how it can persuade people to “do the right thing,” even when that action involves going against their own interests. Costello seals the deal by cooking a meal for them. Can Costello’s memory be restored long enough for him to achieve his goal? Will Fung find a way to neutralize his former henchmen and force Costello to face him alone? Is the aging killer with a bullet in his brain still capable of defeating the army of assassins protecting Triad boss Fung? Like Francis Costello, Vengeance has something unexpected inside its head. It is definitely worth a look. I give it four and a half nooses. Dilberts, Mechanics and Scouts, Oh my!